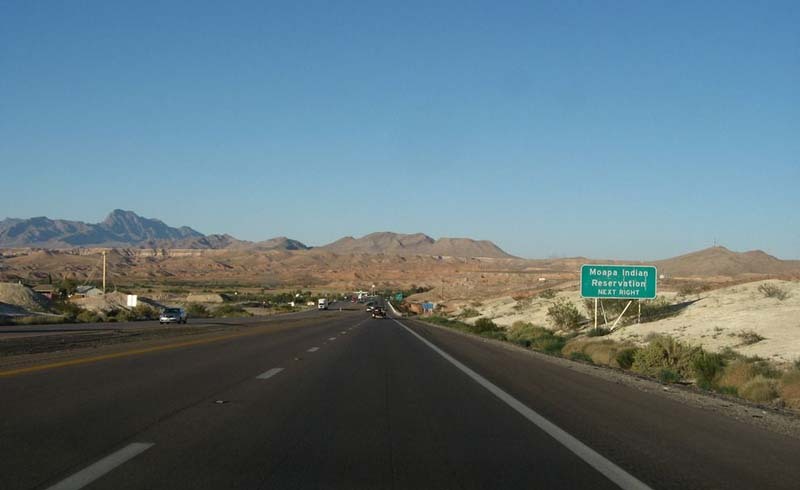 Since its creation, Interstate 15 has been promoted as a scenic highway, and it’s one of the nation’s longest north-south transcontinental highways, too. You can take it all the way from inside Canada to the Mexican border of Southern California. Our favorite stretch of the highway leads from Salt Lake City to San Diego. If you drive straight through, you can make it in just about 10.5 hours and touch four different states: Utah, Arizona, Nevada and California. 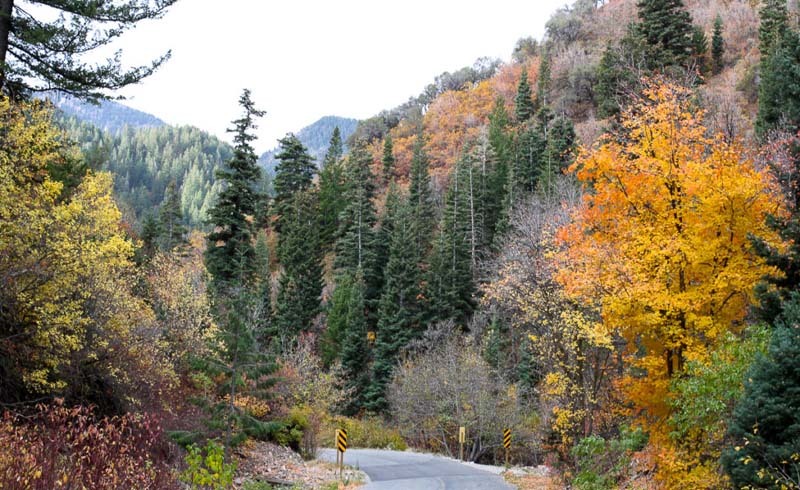 But why plow through this scenic drive when you can meander along the way and have a vacation in the journey, too? Here are our 10 favorite places to stop from Salt Lake City to San Diego along I-15. 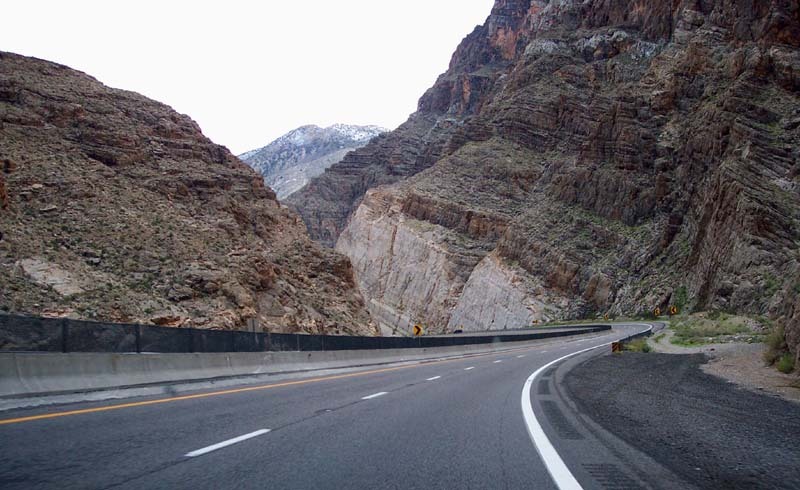 The Utah and Arizona stretch of I-15 is known as the Veterans Memorial Highway. Beware: Some patches of the highway have heavy commuter traffic, so plan your timing accordingly. Other parts, such as I-15 through Arizona, feel quiet and rural. 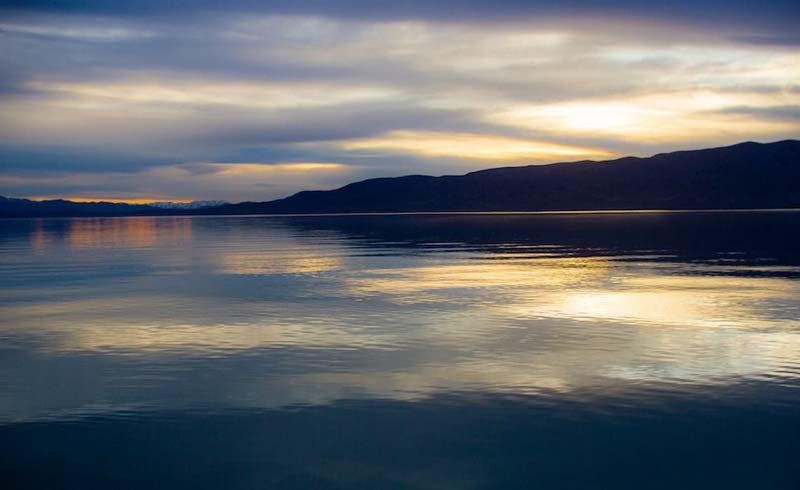 Utah Lake is a destination in and of itself for being an anomaly: It's one of the biggest freshwater lakes in the West – in the arid climate of Utah. Camp out here in a fully hooked-up RV site and go boating, sailing and fishing. Or if you only have a few hours to enjoy the Utah Lake State Park, pack a picnic to enjoy on the Provo River and watch canoes and wildlife. We love Utah’s parks, and Yuba State Park is one of our favorites for the unique warm water and sandy beaches that give it an almost tropical feel. Build sandcastles in the sunshine, go water skiing on the lake, or explore the rocks for ancient Native American art and mining artifacts that serve as reminders of this area’s rich and varied history. Looking for a rush? 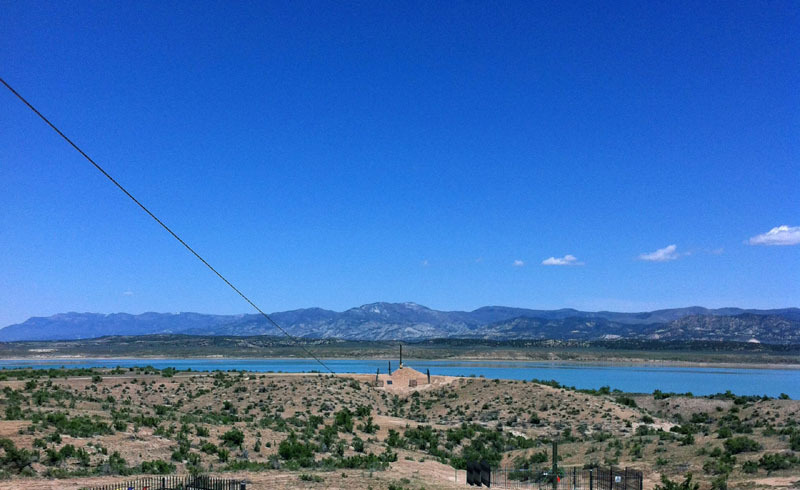 Yuba State Park is also home to zip lines. 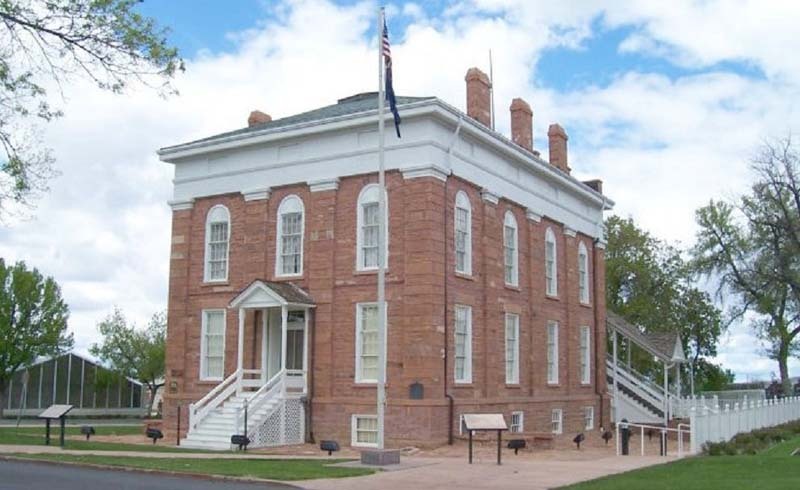 About 40 minutes past Yuba State Park, you'll find Fillmore, the former territorial capital of the state – history buffs will enjoy visiting the original statehouse building. Grab a bite to eat in Fillmore, cast out a line in the water and go ATVing on the trails. 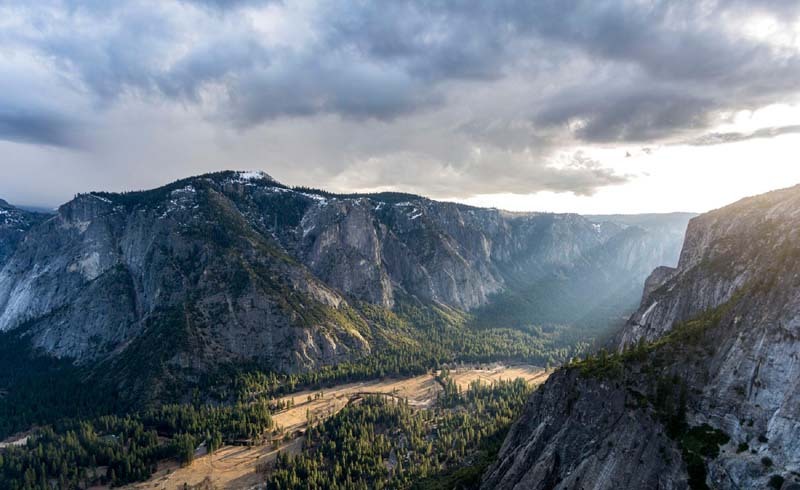 Outdoor enthusiasts can take a trip to the nearby Circus Hollow Wildlife Management Area and explore Pahvant Valley and the Pahvant Range’s highest peak, Mine Camp Peak. These beautiful mountains extend into the Fishlake National Forest. After the final Virgin River crossing, you will come to the Black Rock Gulch in Mohave County. While I-15 only crosses through the upper portion of this vast county, if you have the time, this region is a great place to stop for a few days. Mohave County contains 18 different wilderness areas, the Hualapai Indian Reservation and even parts of the Grand Canyon National Park. With dozens of ghost towns, you could arrange a road trip within a road trip here. E Veterans Memorial Highway, Littlefield, Ariz.
Not quite 2.5 hours later is one of the most breathtaking parts of the I-15 road trip: the Virgin River Gorge, between St. George, Utah and Littlefield, Arizona. The Virgin River winds through this twisty canyon and crosses I-15 multiple times. The dramatic limestone cliffs are humbling and the corners here can be sharp, so take your time and enjoy the view. As you drive, keep on the lookout for Zion National Park. Not far from the Virgin River Canyon Campground and just a short diversion off I-15 is Beaver Dam, Arizona. The community itself is humble, but the Historic Beaver Dam Lodge is a great place to stop for the night. This 18-room, secluded lodge feels like an oasis in the desert. On site: a golf course, food, pro shop and a full bar. 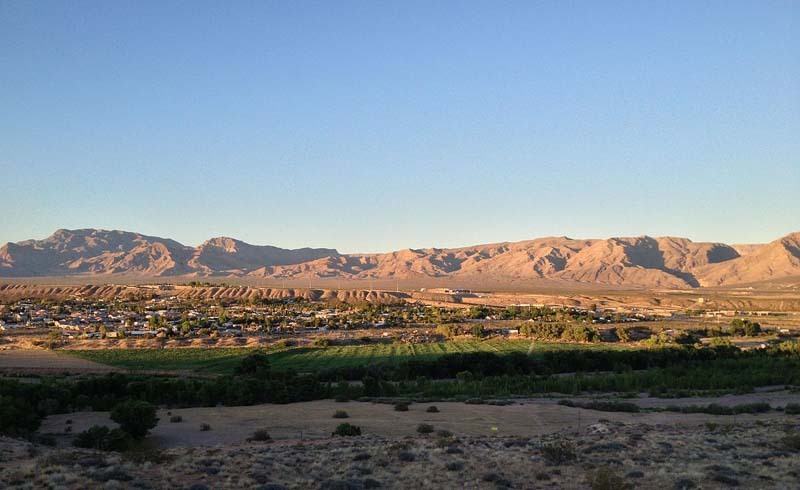 Nearby: hiking trails, the Virgin River, Mount Bangs and the slot machines in Mesquite, Nevada. The Beaver Dam Lodge is a popular wedding destination for its proximity to Las Vegas and also its mountain views and privacy. Moapa River Indian Reservation, Nev.
I-15 crosses this reservation, just northeast of Las Vegas. The Moapa River Indian Reservation is a fun place to stop to get some unique gifts – and fireworks. In fact, the Moapa Paiute Travel Plaza is tax-free, open 24/7 and boasts the largest selection of fireworks in the West. Also try your luck at the casino here, and grab a bite of locally-inspired food at the cafe. The scenery isn’t bad either, with sandstone rocks, the Muddy River and the sacred Valley of Fire. You know Las Vegas. No cruise down I-15 is complete without a stop here. On The Strip, you can enjoy plenty of attractions without dropping a dime (the volcano at The Mirage, the Fountains of Bellagio). But Vegas is more than just flashy shows and clanging slot machines. 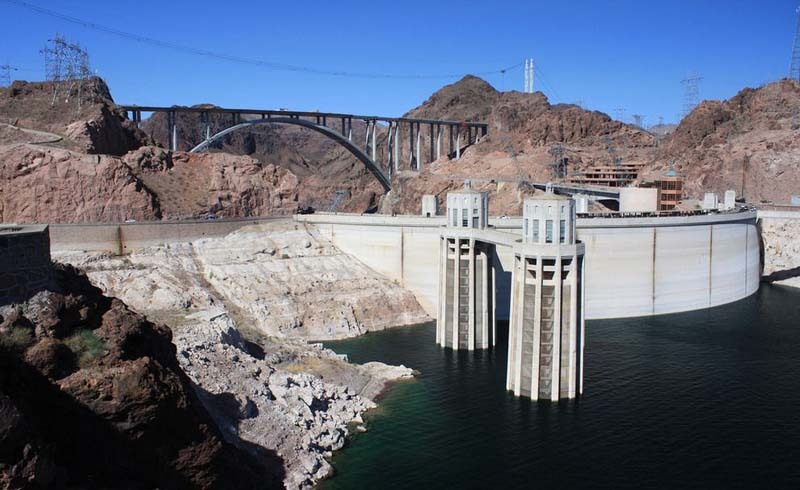 You can go hiking, zip-lining and tour the Hoover Dam, too. Set up your visit with a tour company and you might be lucky enough to walk through the passageways of this vast structure. After the mountain pass, you’ll approach the desert community of Halloran Springs, where you may be able to spot some petroglyphs on the rocks near I-15. 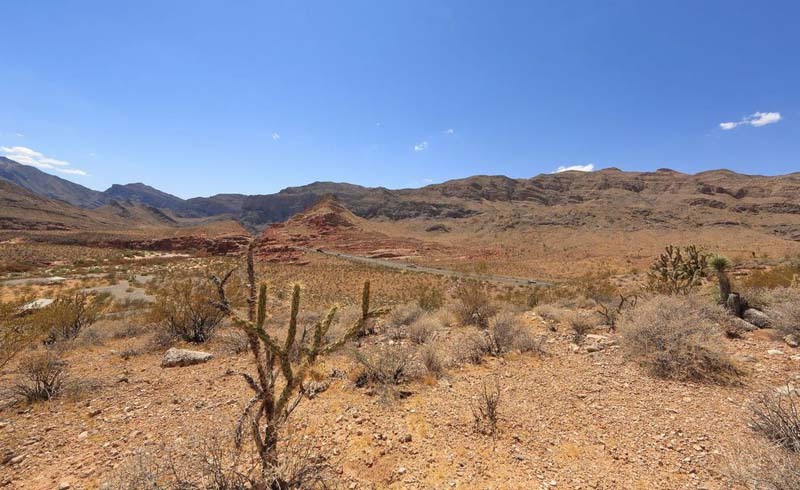 Venture out into the Hollow Hills Wilderness Area, the home of desert tortoise, lizards and desert plants. Following the flashing lights of Vegas, this parched wilderness is a glaring difference and a breath of fresh air. You can camp out in this desert, with its low hills and gentle peaks, but beware: there’s no good source of water. The Silver Dry Lake is just that – dry. 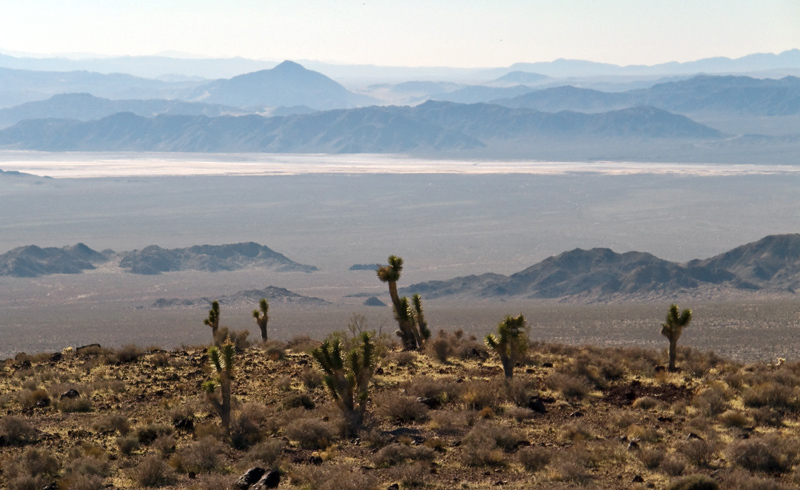 East of Los Angeles is San Bernardino County, with its stunning mountains and the Mojave Desert. Outdoor activities are a highlight here year-round, from fishing to biking to camping and hiking. 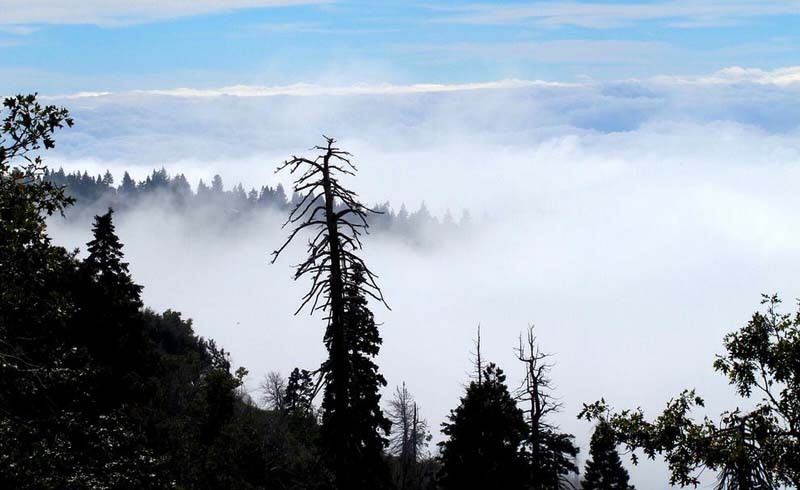 Finish your road trip with a detour from the San Bernardino Mountains to the 110-mile Rim of the World Scenic Byway, overflowing with vistas, history and Big Bear Lake. The byway follows pioneer routes and tells a story of the region’s early days.